Bikepacking is a great way to experience Glacier National Park. I had spent much of the last year unable to walk, as a result of a serious climbing accident in Sept 2010. As the bones in my leg began to heal, biking became my primary form of physio, both for my mind and for my leg. But never much of a biker and needing a bit of motivation, early on in my recovery I began planning a 7-day 400-mile bike trip down the rugged and beautiful Oregon Coast. In mid-August, my leg finally ready to pedal a heavy load up and over hilly coastline, I embarked on this biking adventure. I had a blast. Long story short, next thing I knew my trusty red Subaru and I were headed to Montana, visions of biking Glacier National Park's famed "Going-to-the-Sun" Road dancing in my head. 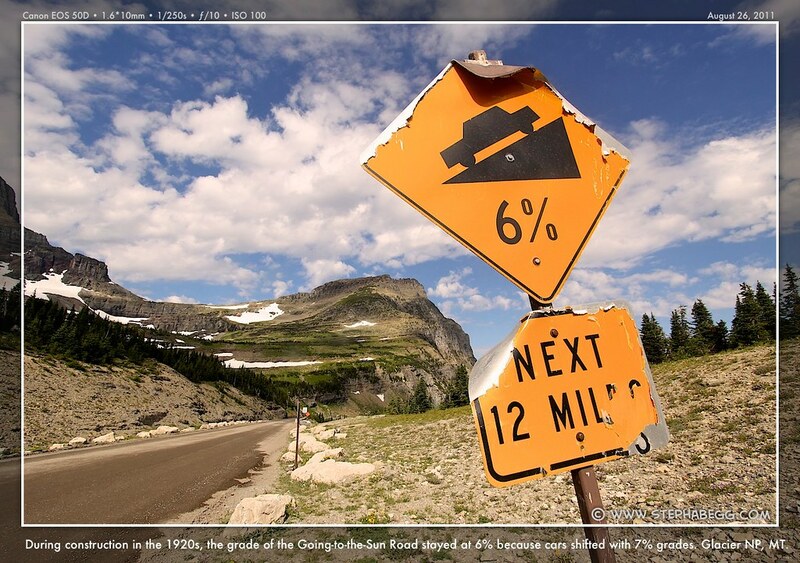 Bisecting the national park from west to east and crossing the Continental Divide, the 52 miles of the Going-to-the-Sun Road is one of the most scenic stretches of road in America. This road stands in the annals of lifetime routes for many bikers. 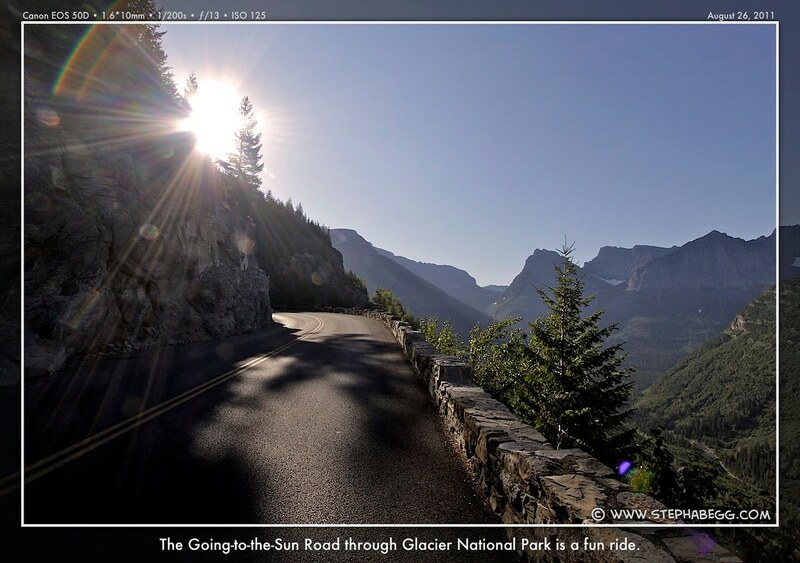 A popular bike trip combines the Going-to-the-Sun Road into a three-day 142-mile loop tour of the park, including the Sun Road and Highways 89, 49, and 2 (see the map above for this loop). The following page gives some of my trip and route notes as well as a selection of my favorite photos from my three-day bike adventure. 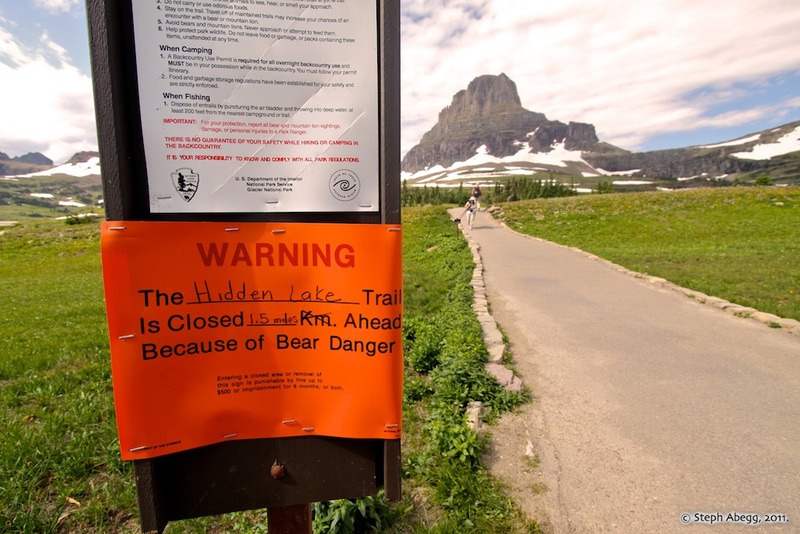 Biking is a great way to experience Glacier National Park. 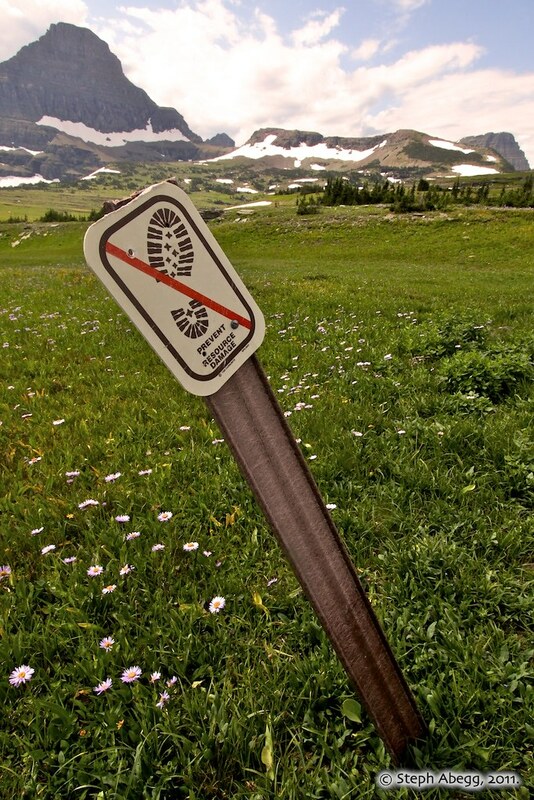 It's a National Park, so there are you-are-here, don't-do-that, watch-out-for signs everywhere! 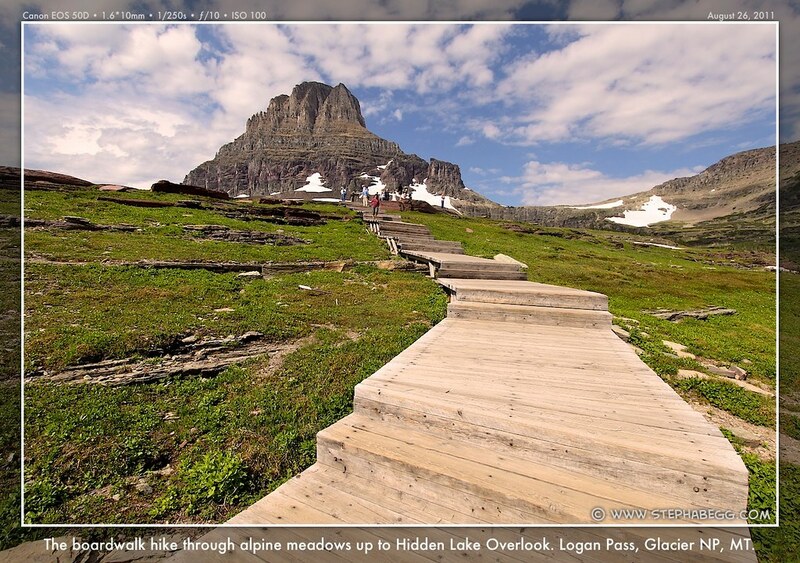 When planning my trip, I preferred an itinerary of biking the famed and rigorous Going-to-the-Sun Road on the middle day of my trip (the three days of the trip shown on my map can be done in any order, or direction for that matter). 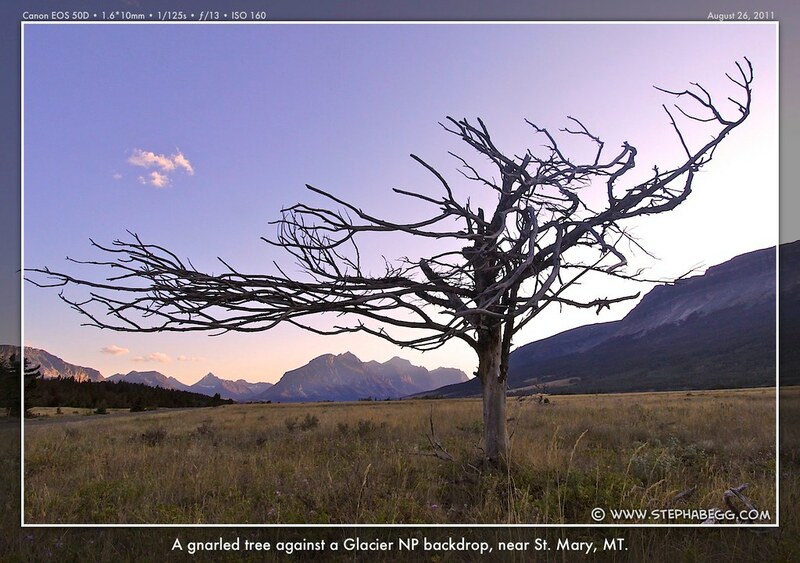 However, when I arrived in Glacier NP, the weather forecast called for "winds from the southwest, gusts as high as 32mph" for the second day of my trip. It would probably be a good idea to be on the east side of the continental divide by then, so that meant biking the Going-to-the-Sun Road on the first day of my trip. That meant I didn't have much time to sleep, since I had pulled into the park around midnight and had to be biking by 6am due to the uphill road restrictions on the Going-to-the-Sun Road (described to the right). So I drove right to Park Headquarters, where I had called the day before to confirm I could leave my car there while I biked the loop. 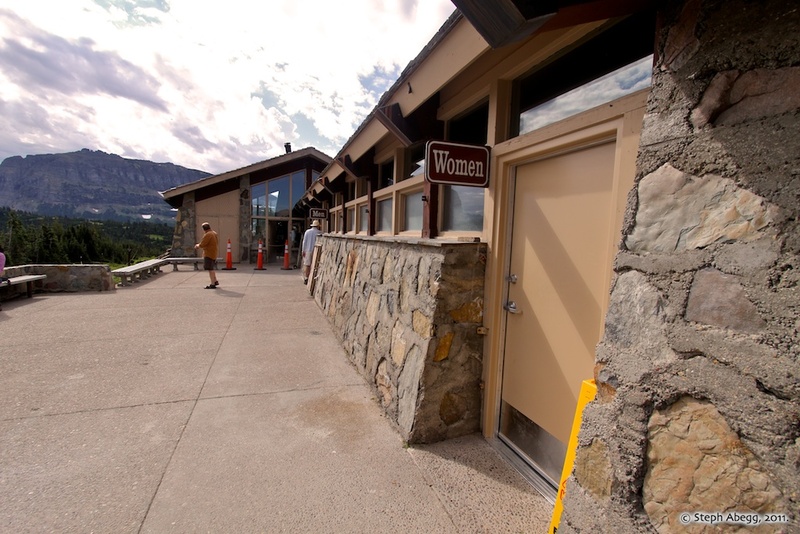 Headquarters is located less than a mile along the Going-to-the-Sun Road. If it had been a full moon, I might have just started biking then, but instead I made room for myself in the back of my Subaru, set three alarms, and went to sleep. I was biking by 5:55am. Like most cyclists who do this route, I planned to bike the Going-to-the-Sun Road from west to east; this way I could experience the full impact of the dramatic 3,500-foot thigh-burning climb up the west side (the climb would be a little less than 2,100-feet if approaching from the east portal in St. Mary). 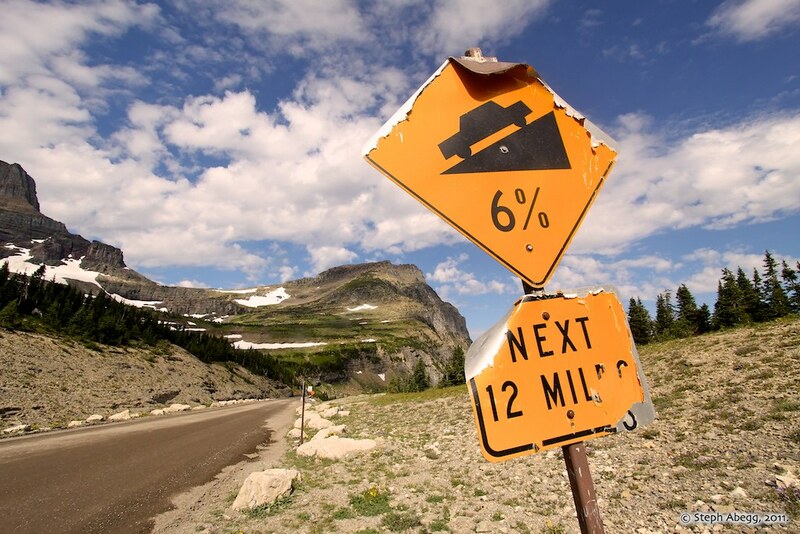 The climb is consistent, but not steep, since during construction in the 1920s, the road grade stayed at 6 percent because cars shifted with 7 percent grades. As a result, despite the 3500-ft of elevation I had gained by the time I reached Logan Pass (which was about 5 times more than any hill I had encountered on the Oregon Coast Bike Route the previous week), I was still waiting for the "real climb" to begin! The first 20 miles went quickly. 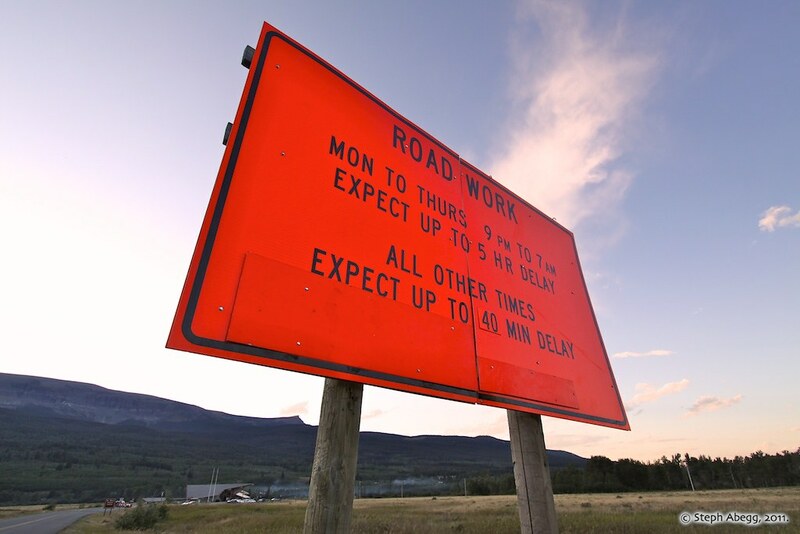 Then things slowed down as the route steepened, mid-morning traffic picked up, the road passed through several areas undergoing construction, and the route became more scenic (I took 148 photos en route to Logan Pass!). But somehow I timed it perfectly, and I arrived at Logan Pass at 10:58am, with 2 minutes to spare before the 11am-4pm bicycle road restrictions. Some highlights along the bike up to Logan Pass: West Side Tunnel, a 192-foot long engineering marvel, has two stunning alcoves framing Heavens Peak. 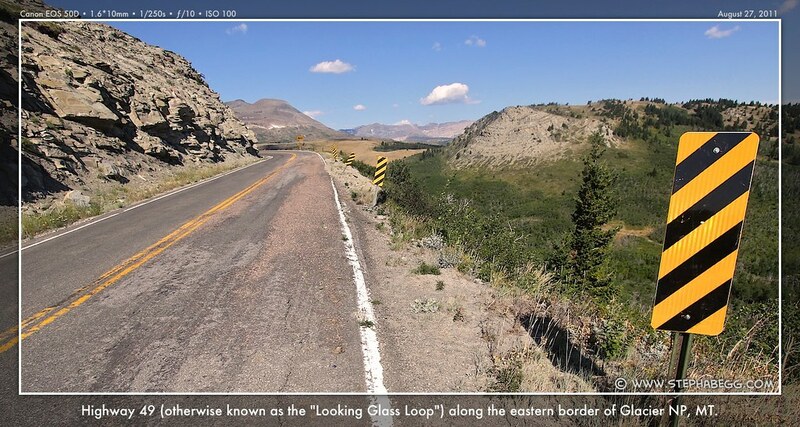 The Loop, a massive hairpin turn, with a stunning backdrop of Heavens Peak across the valley. 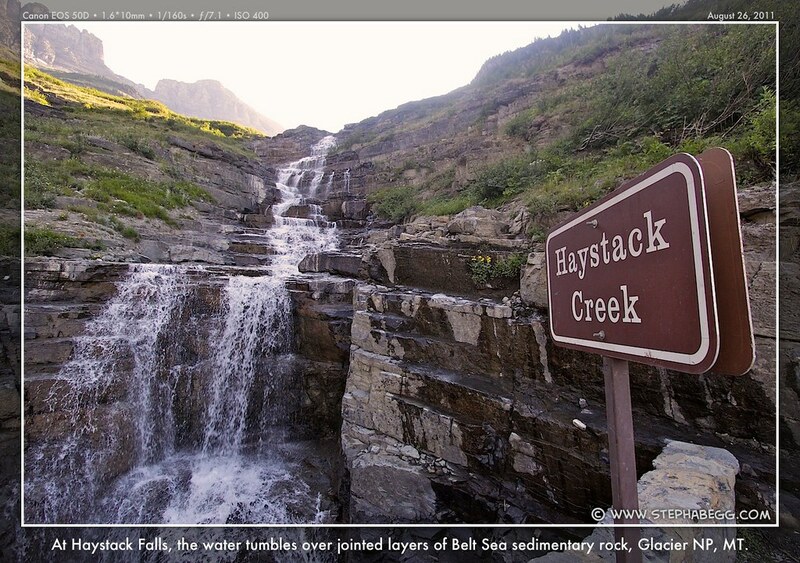 Haystack Falls, a stair-step waterfall whose ledges evolved from eroding layers of Belt Sea sedimentary rock. 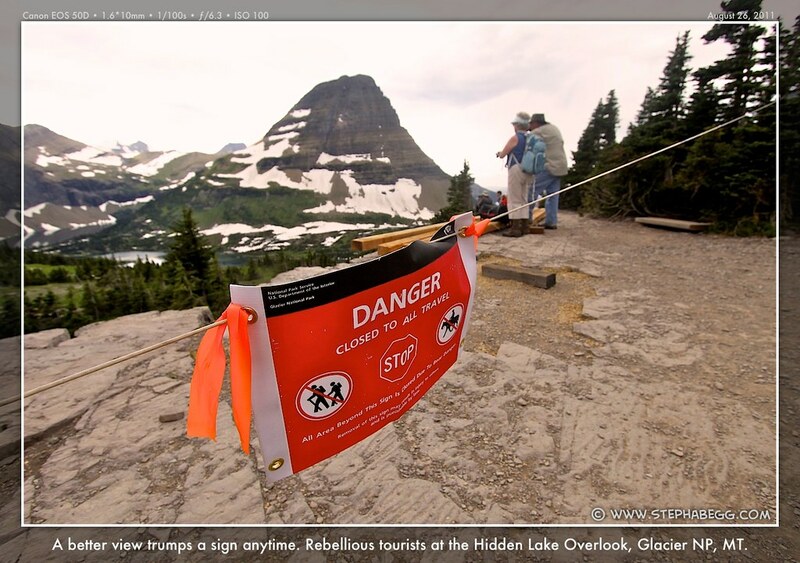 A Glaciation Exhibit which has spectacular views of the Going-to-the-Sun Road 2,500 feet below, and also interpretive boards that explain the glacial history of the U-shaped valley. 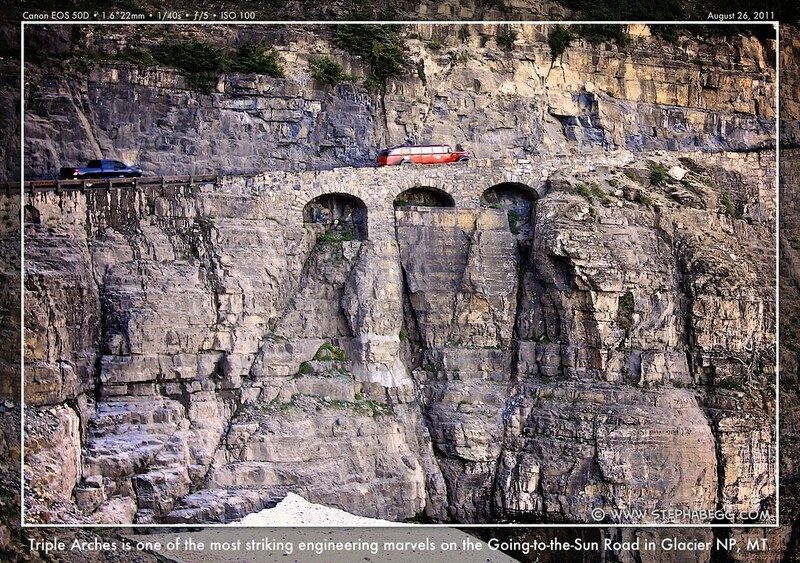 Triple Arches is one of the most striking engineering marvels along the Going-to-the-Sun Road. Botanical wonderland of the Garden Wall. With road restrictions behind me, I stopped for a few hours at Logan Pass. 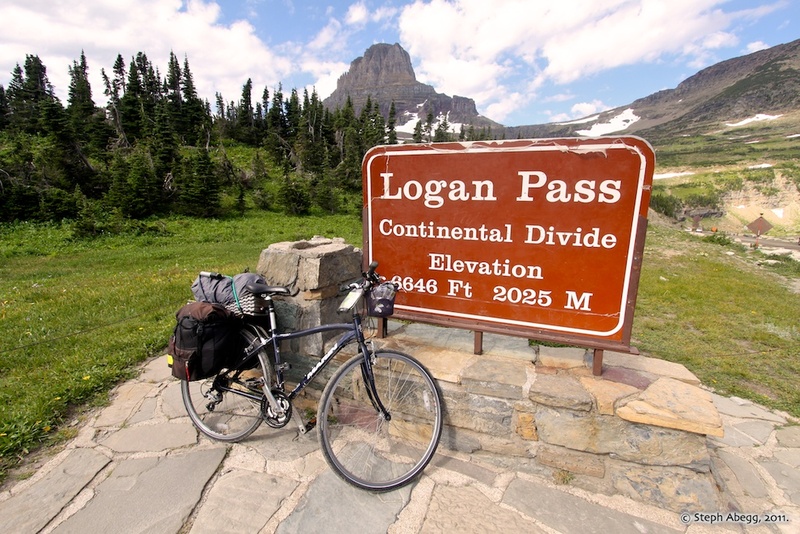 At 6,646 ft, Logan Pass is the apex of the Going-to-the-Sun Road. It sits on the Continental Divide (The Continental Divide runs the length of North America from Alaska to Mexico, dividing stream runoff between the Pacific and the Atlantic; pretty cool when you think about it!). 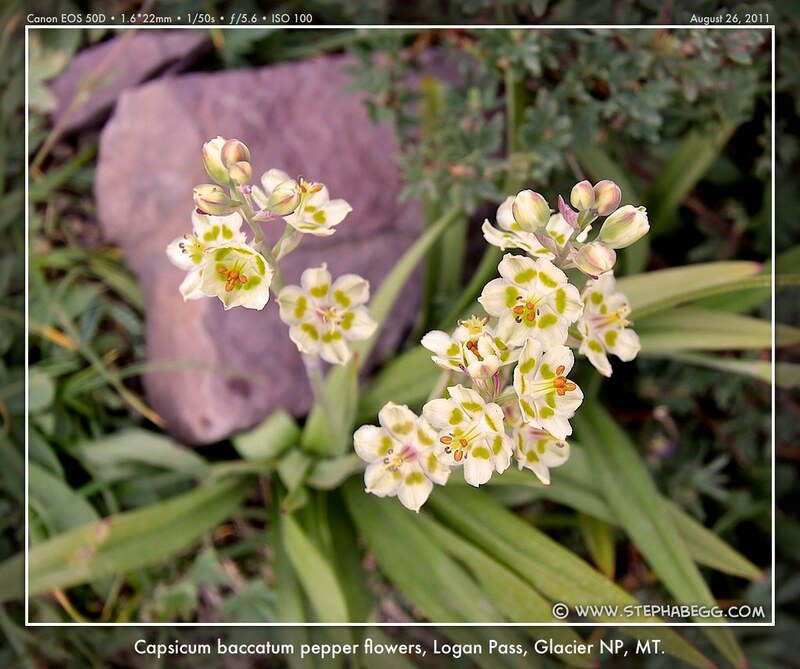 Logan Pass sprawls with broad alpine meadows teeming with wildflowers and mountain goats. 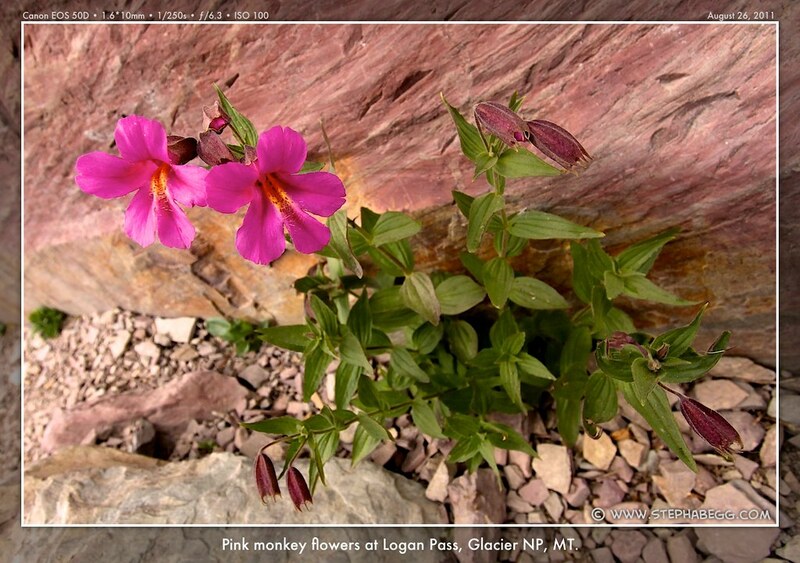 While there, I speculated as to the fate—giant hailstones?—of the 6% road grade sign near the top, I examined the stuffed marmots at the Visitor Center, I teased the luncher-stalking squirrels, I enjoyed the colorful wildflowers, and I experienced first-hand how quickly weather can move in over these mountains in the late summer. I also joined the 1.5 mile expedition to Hidden Lake Overlook, where a boardwalk leads a constant stream of people through alpine meadows to a knoll that views down to Hidden Lake's blue waters. 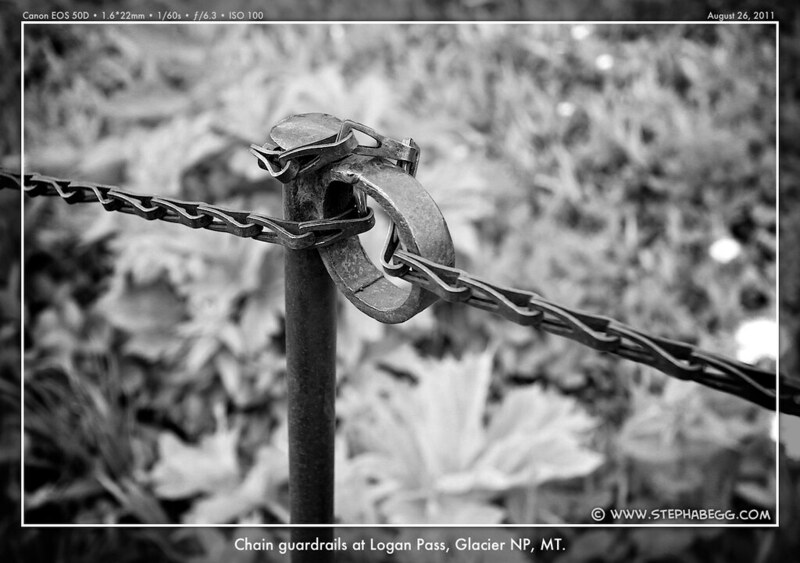 It was 18 miles of downhill from Logan Pass to St. Mary, the eastern portal of the Going-to-the-Sun Road. Due to the afternoon thundershowers that had set in, I had packed my camera away, so I did not take any photos of the East Side Tunnel, which is the largest tunnel on the road and excavated entirely by hand—all 408 feet of it. Weather improved as I descended, so I stopped to pull out my camera at Sunrift Gorge; in this narrow roadside canyon where the water slices through the rock like butter, the shaded waterfalls are great for long-exposure photography. 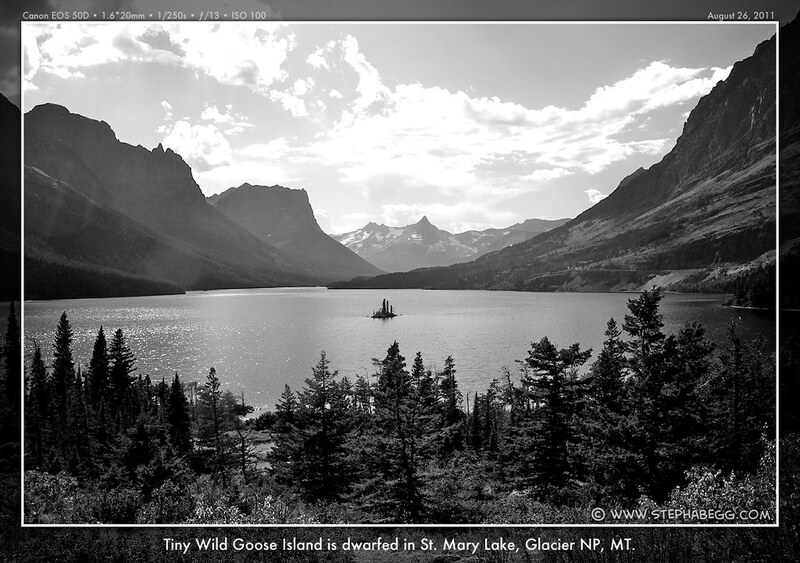 After this I passed Wild Goose Island Overlook, one of the most photographed spots in the park, where tiny Wild Goose Island cowers in St. Mary Lake below the Continental Divide's rugged skyline. 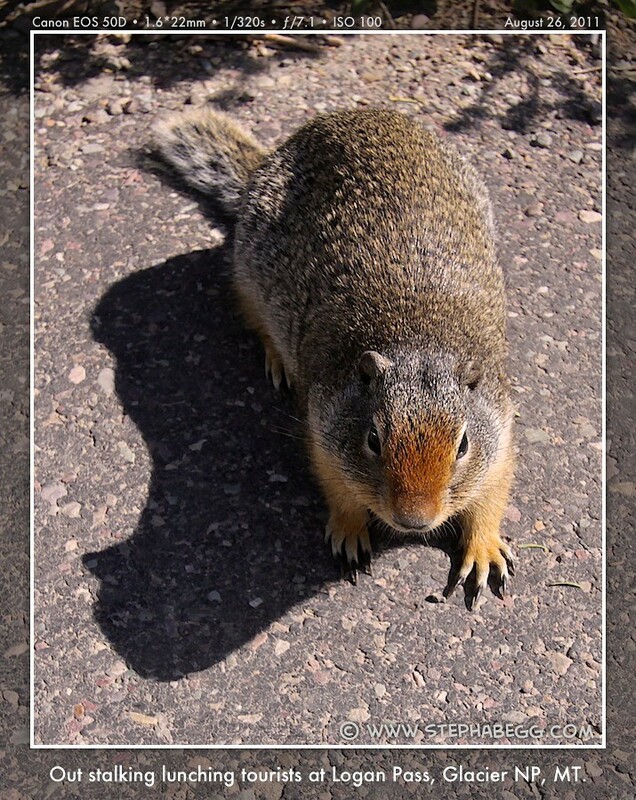 Small, seasonal St. Mary bustles as a hub of campgrounds, lodges, cabins, cafes, and shops. 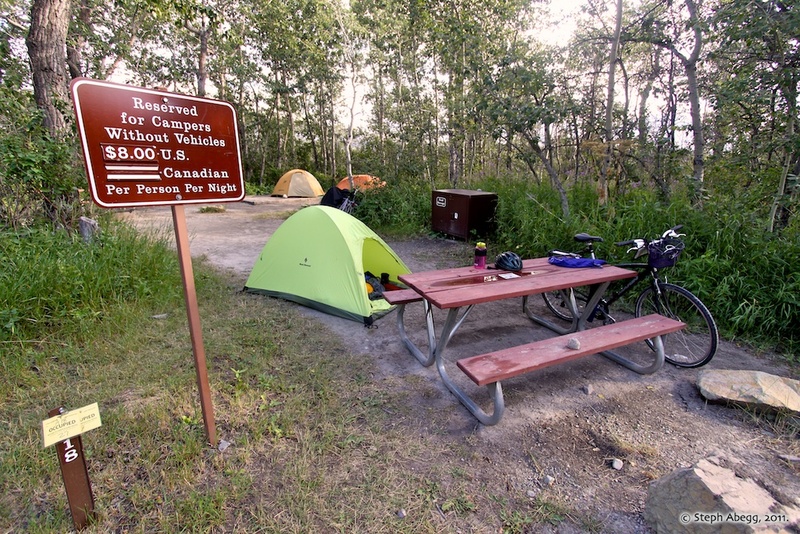 I stayed in St. Mary Campground, which offers $8 hiker/biker sites. Although there were a couple of hikers in the hiker/biker site, I realized I had not seen any other overnight bikers on route with me that day (I had seen one other biker, although he was clearly just out for the day). And the bike racks at Logan Pass had been empty. Although a spectacular bike ride, the Going-to-the-Sun Road doesn't seem to be nearly as biker-populated as the Oregon Coast Bike Route I had biked a couple of weeks previous. 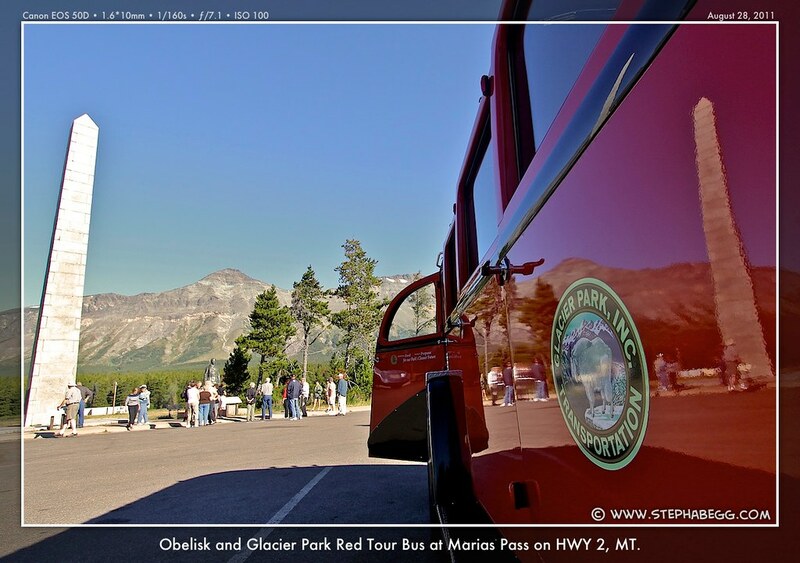 The Going-to-the-Sun Road connects West Glacier and St. Mary by 52 miles of one of the most scenic highways in America. Crossing the Continental Divide at Logan Pass (6,646 feet), the road is an engineering marvel, full of tunnels, switchbacks, arches, and a narrow two-lane highway cutting across precipitous slopes. The road also travels through an incredible diversity of landscape. 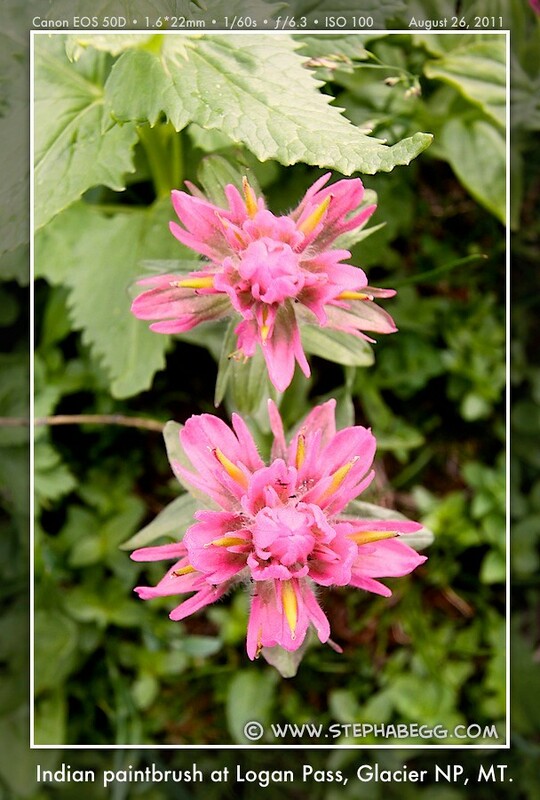 Cedar rainforest give way to windblown subalpine firs, broad lake valleys lead into glacier corridors, thousand-foot cliff walls abut wildflower gardens, waterfalls spew from every pore, and ragged peaks rake the sky. 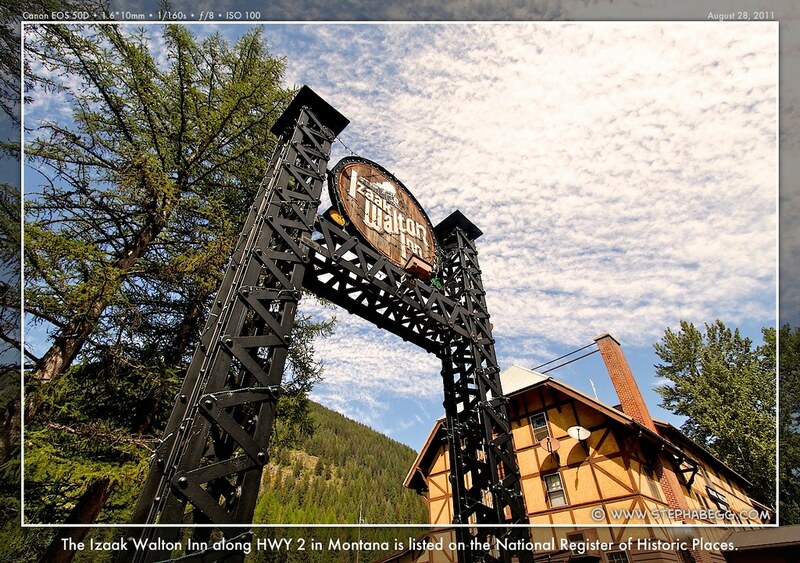 It was not until 1932—after nearly 20 years of planning and construction, fueled by burgeoning excitement over the automobile—that the first automobile chugged over Logan Pass. Surveying the route required tenacity to hang by ropes over cliffs and tiptoe along skinny ledges, and the crew turnover rate was high. Over six seasons, three companies excavated rock using only small blast explosives and minimal power tools to create tunnels, bridges, arches, and guard walls. With power equipment unable to reach the East Side Tunnel, crews cleared its 405-foot length by hand boring 5.33 feet per day. Although cars started driving the road in 1932, guardrails or grading were not completed until 1935, and paving did not occur until 1952. 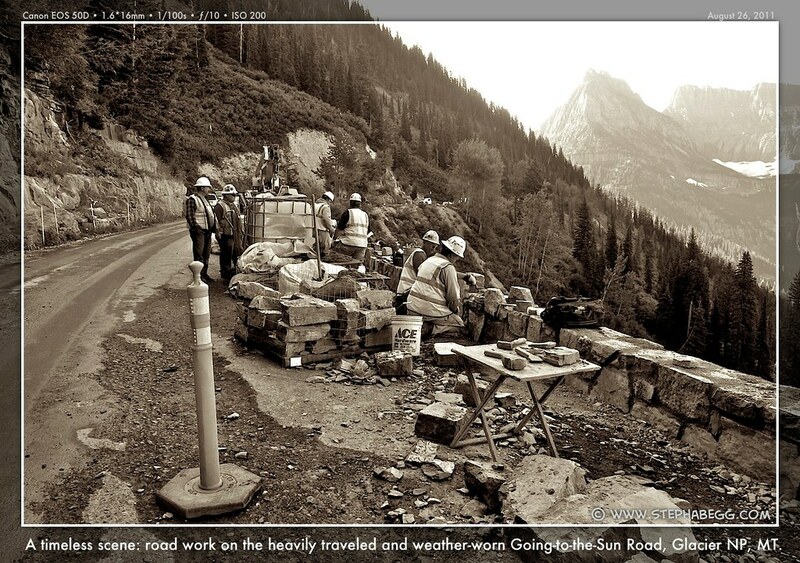 The Going-to-the-Sun Road is now a National Historic Landmark. Another interesting historical note about the road is it's name, which is what initially captured my attention. 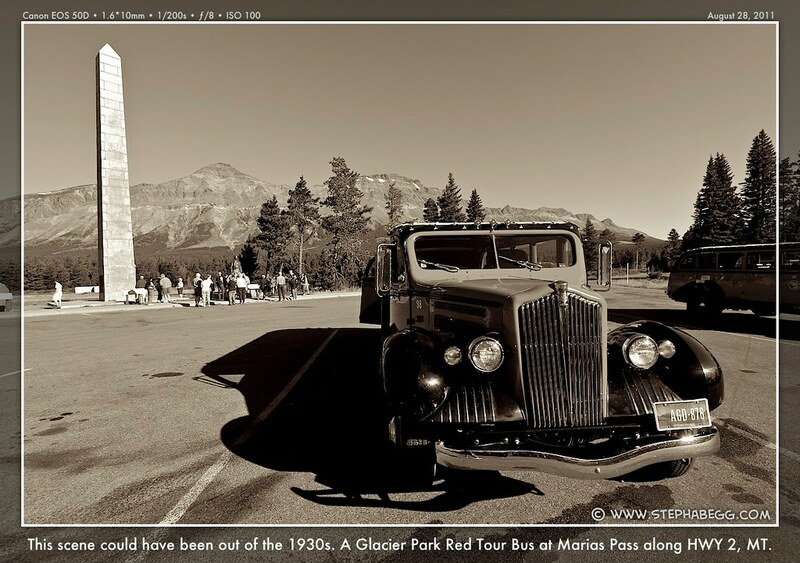 Officially named in 1933, the road borrowed its name from nearby Going-to-the-Sun Mountain. Local legend told the story of Sour Spirit who came down from the sun to teach Blackfeet braves the rudiments of the hunt. On his way back to the sun, Sour Spirit had his image reproduced on the top of the mountain for inspiration to the Blackfeet. 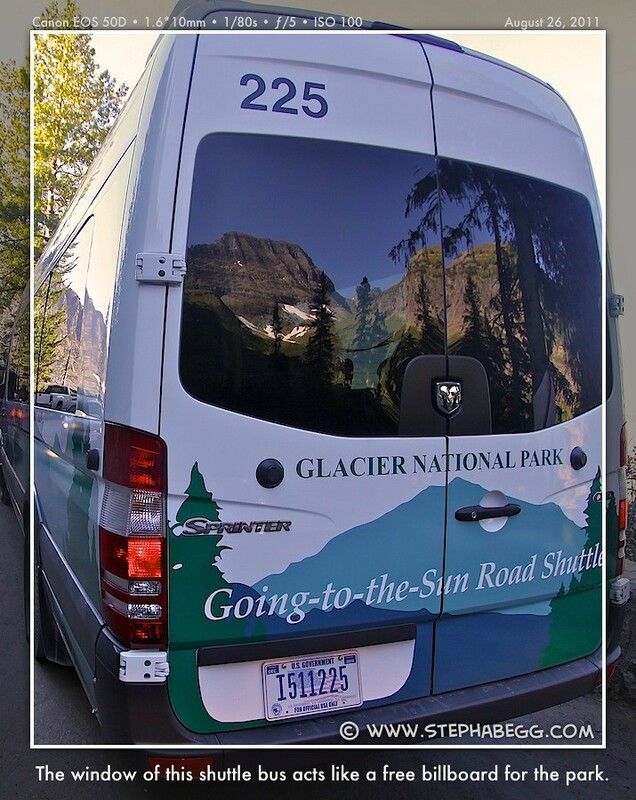 Now, as Glacier National Park's biggest attraction and the only road bisecting the park, about 475,000 vehicles travel the road annually and this number is growing each year. 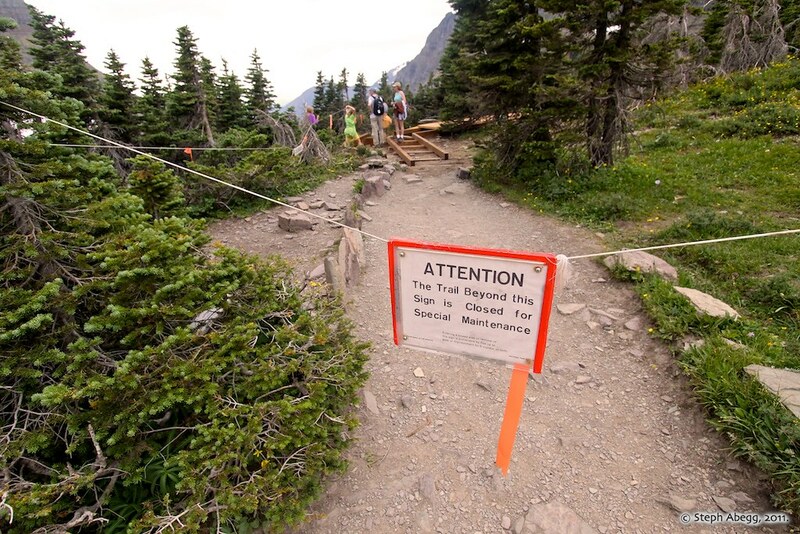 Most years, the road is open to cars mid-June through mid-September depending on conditions. Bikers relish spring and fall riding when the road is closed to cars but snowplows have freed the pavement. 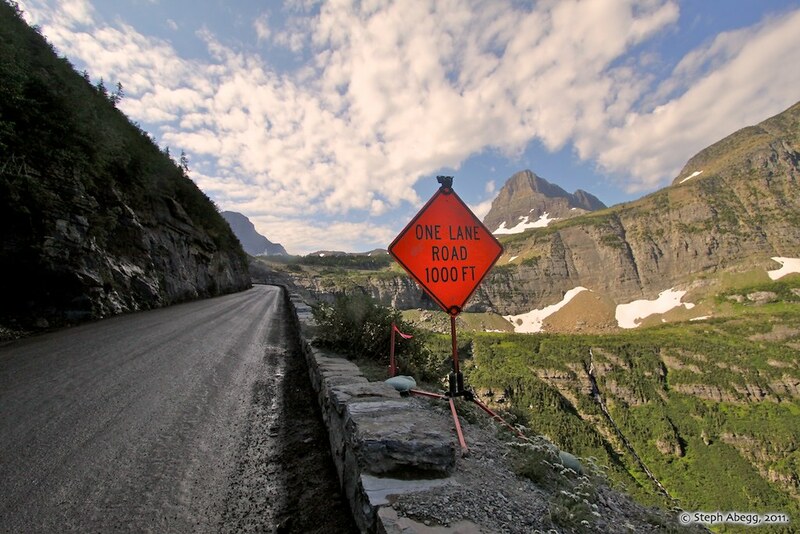 Once built, the Going-to-the-Sun Road has had to be constantly maintained. Avalanches, torrential downpours, and snows wreck havoc. Constantly. Since 2007, the alpine section of the Going-to-the-Sun Road has been undergoing a decade-long $240-270 million rehabilitation project. The park tries to do most of the work during the bumper seasons or during the night, but nevertheless one can almost always expect some level of construction going on. 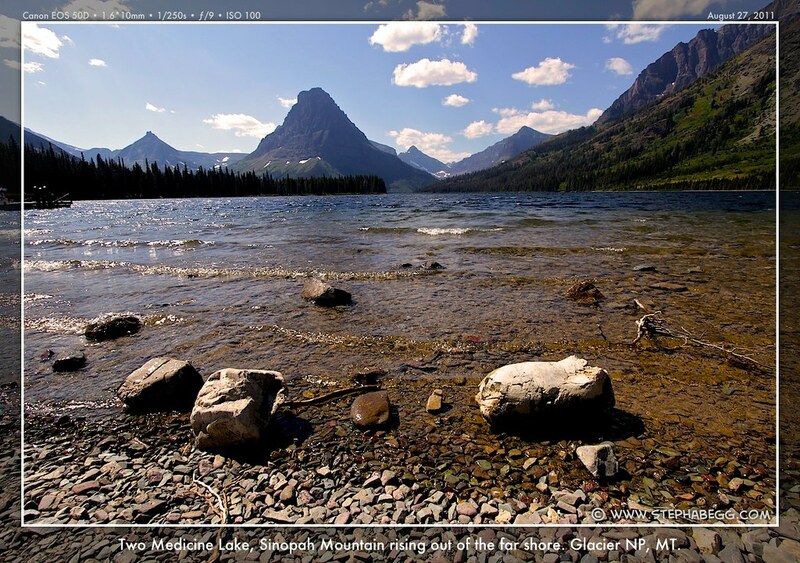 From Apgar Road junction (at south end of Lake McDonald) to Sprague Creek Campground (mp 2 to mp 10.2). Eastbound from Logan Creek (just before uphill starts) to Logan Pass (mp 20.6 to mp 32.6). My guidebook mentioned that it takes about one hour to ride from Apgar to Sprague Creek, another hour to ride from Sprague Creek to Logan Creek, and about three hours from Logan Creek to Logan Pass. 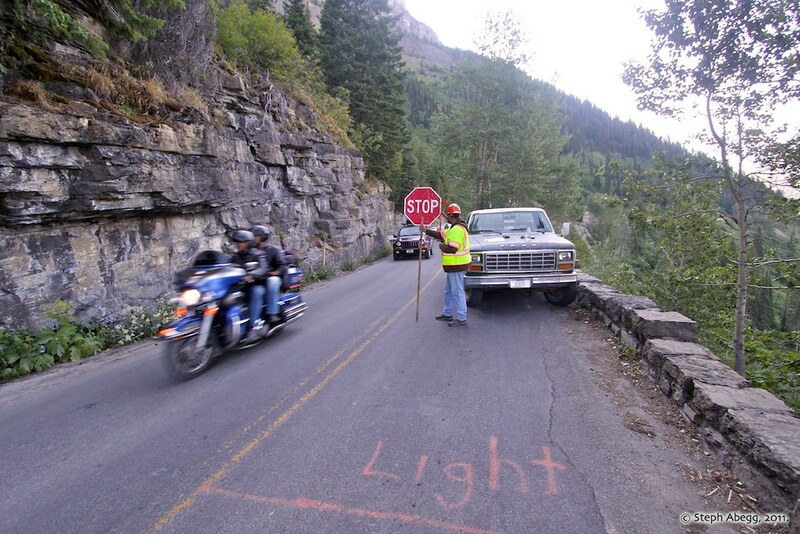 So, most bikers would want to start off by 6am to give adequate time to reach Logan Pass by 11am. 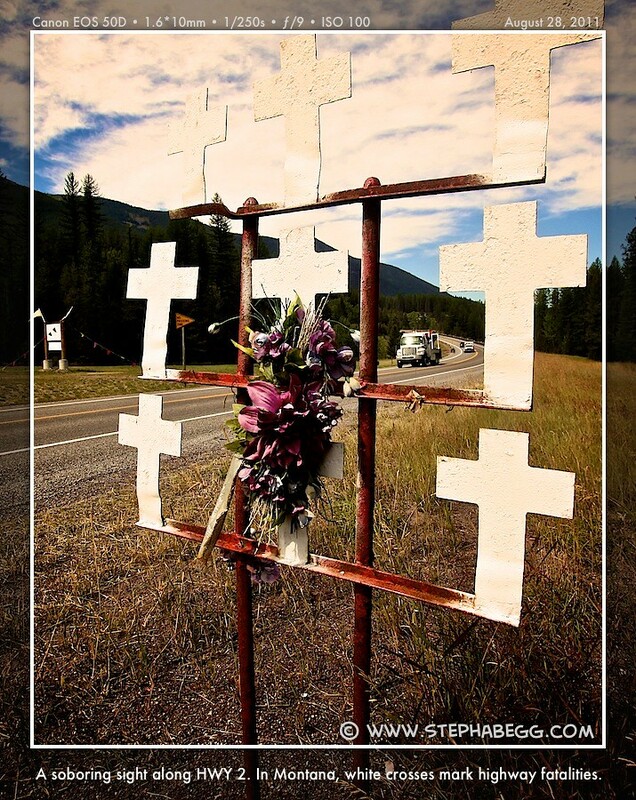 Also, although helmets are not mandatory in Montana, it's probably a good idea to wear one on this road: the road is shoulderless, it sometimes has debris, and most drivers are gawking at the views rather than watching out for bikers. Quiet and removed, Glacier's southeast corner harbors a less-traveled wonderland. 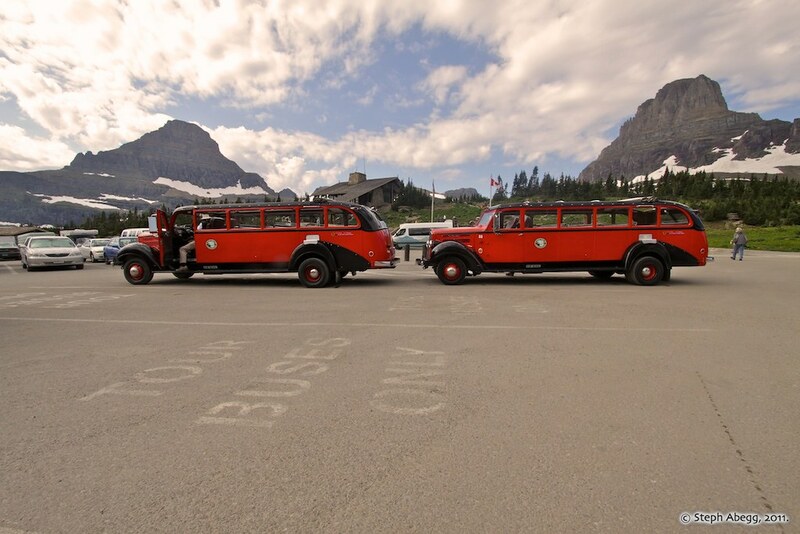 It's away from the endless line of cars of Going-to-the-Sun Road. 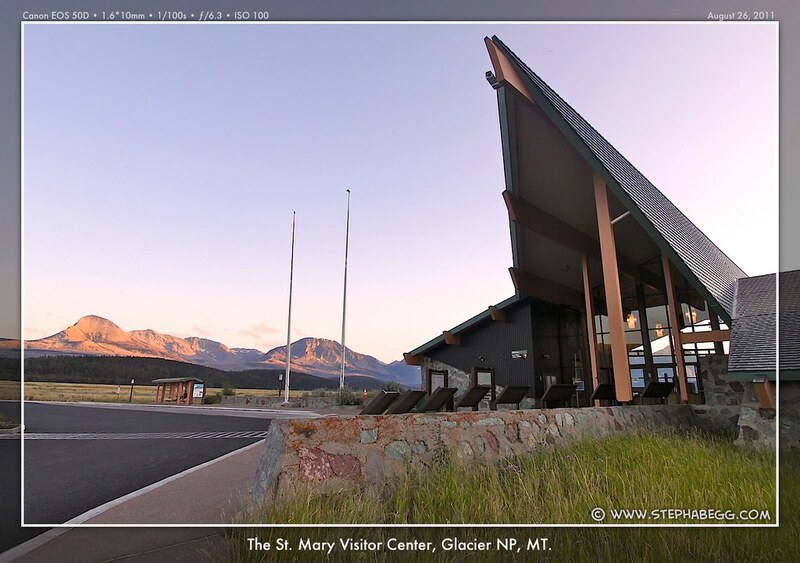 The route between St. Mary and East Glacier Park first follows Highway 89 (also known as the Blackfeet Highway running entirely in the Blackfeet Reservation) for 20 miles, then turns off onto Highway 49 (also known as the Looking Glass Road) for 13 more miles. 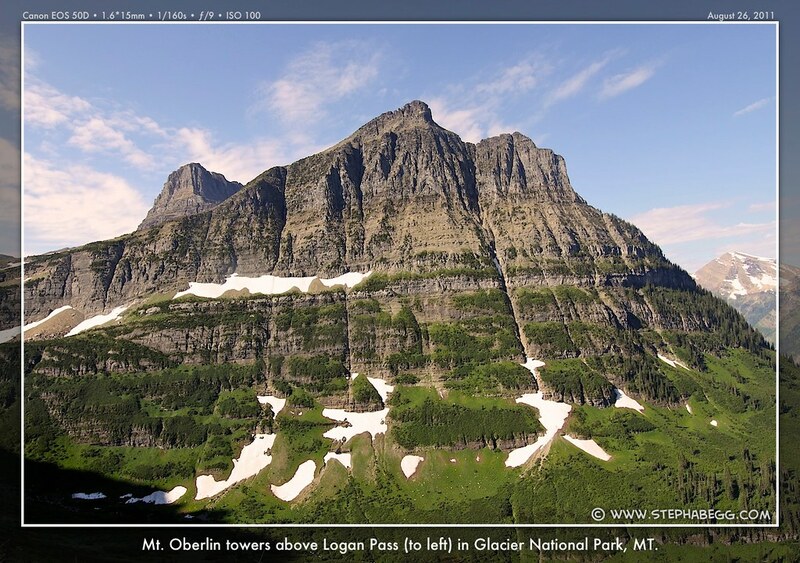 What my by-now-heavily-highlighted-and-well-worn Moon Handbooks: Glacier National Park has to say about the route: "A wide thoroughfare with big shoulders climbs atop St. Mary Ridge, luring you into breathing comfortably with the width in spite of the huffing climb. 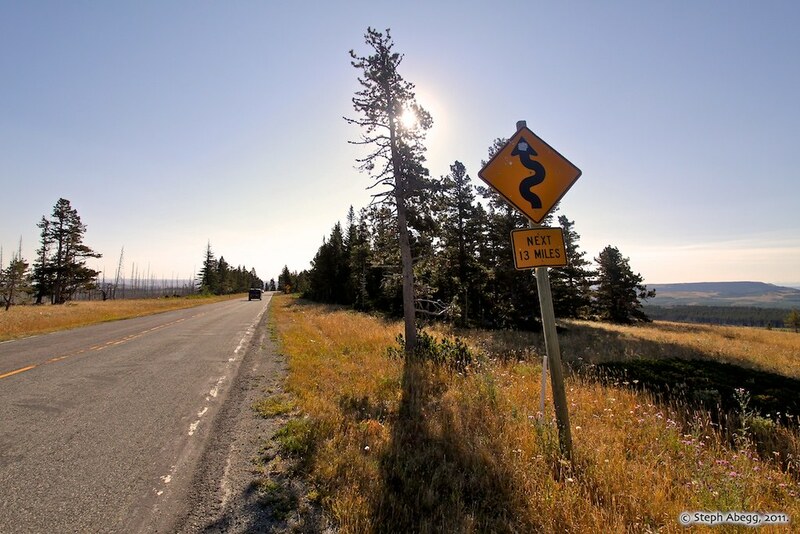 But atop the ridge, the spacious road suddenly squeezes into a narrow, curvy ribbon with blind corners and little place to go when large vehicles hog the road. From a cycling perspective, it's a fun ride with rolling terrain, but you'll find yourself nearly steering off the road while watching for vehicles coming up behind you. Blind corners have a tendency to make riders brake for safety ad then curse the loss of momentum. To avoid the heavier midsummer traffic, ride early or late in the day. 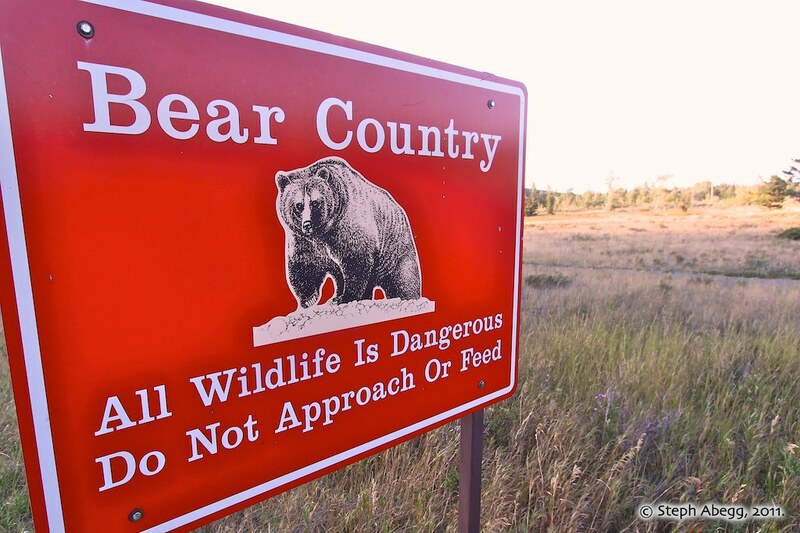 It's an area where you may encounter bears on the roadway. On Highway 49 with open range, be prepared to encounter cow pies, and you can round a corner into a small herd of cows. For some reason, no matter what direction you're riding, a strong headwind always blasts." Needless to say, it was a fun and scenic ride with a comfortably-low volume of traffic. Since the route from St. Mary to East Glacier Park travels along the border of Glacier National Park (rather than through the park as did the Going-to-the-Sun Road the previous day), and since it's a pretty short day of biking (only 33 miles), I took a sidetrip into Two Medicine Valley. 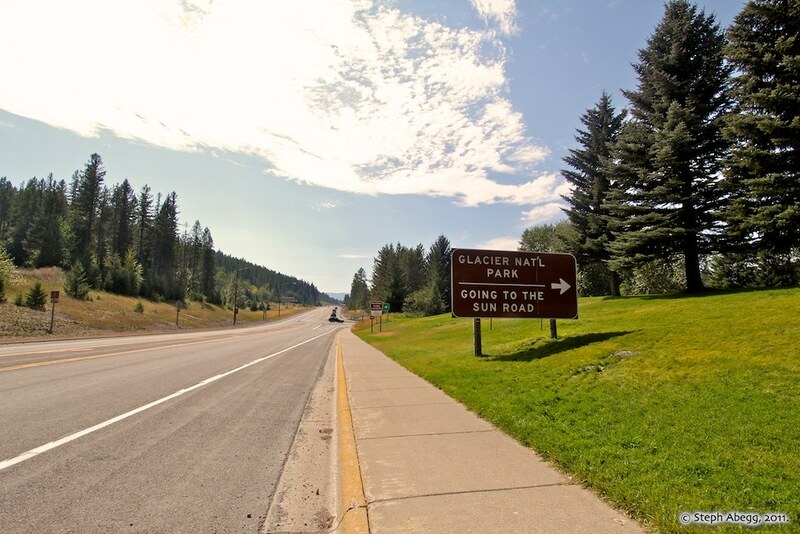 The valley is accessed by the 7.5-mile Two Medicine Road, which turns off Highway 49 just four miles north of East Glacier Park. A string of three lakes curves through the valley below the hulking Rising Wolf; quiet and scenic, the area bears evidence of the glaciers of the past, with its swooping valleys, blue-laked cirques, and toothy spires. The valley is strewn with hiking trails, mostly radiating from Two Medicine Lake, which at a mile-high is the park's highest accessible lake. 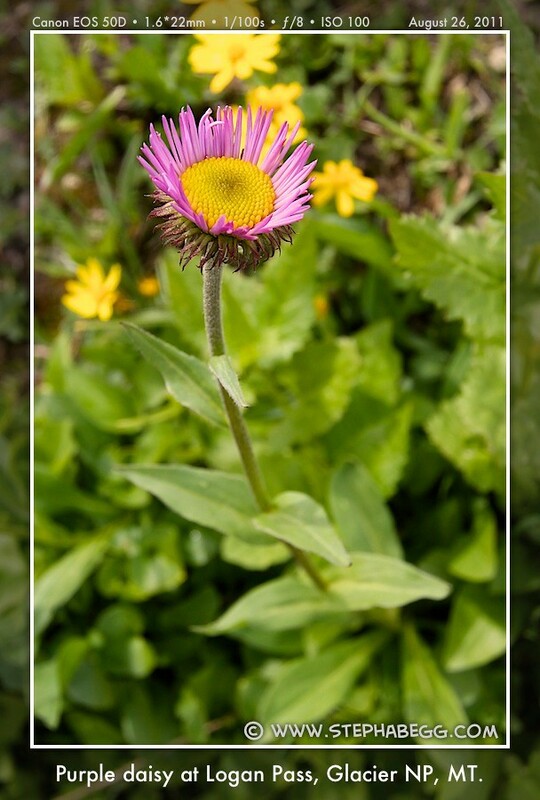 From Two Medicine Lake, I hiked up to Aster Park, which supposedly was "easy" and gave "grand views." The "easy" part was right at least, and my enjoyment over just being able to walk made up for the lackluster views. 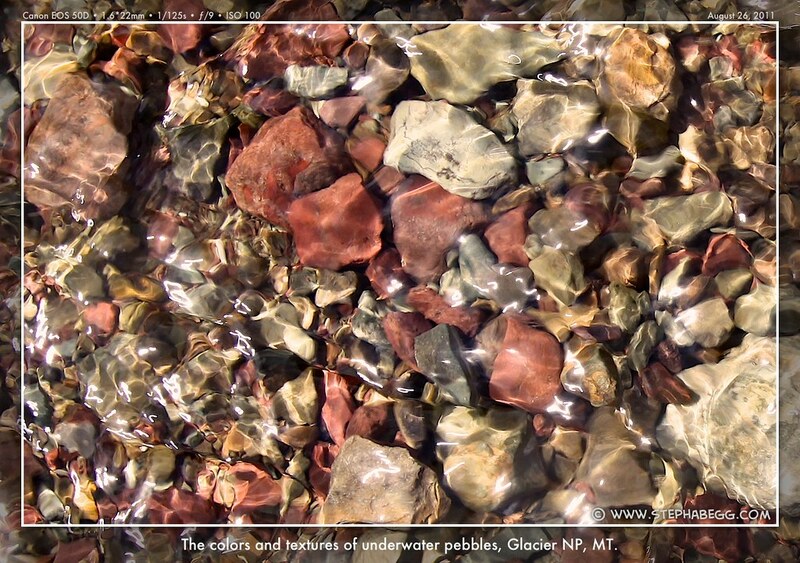 (In general, my impression about Glacier National Park is that it is certainly a beautiful place, but I had seen nothing I would qualify as spectacular; I suppose, though, that a few hundred years ago Glacier National Park looked much like the glaciated and rugged—and of course spectacular—North Cascades, which I am spoiled to have as my backyard playground.) 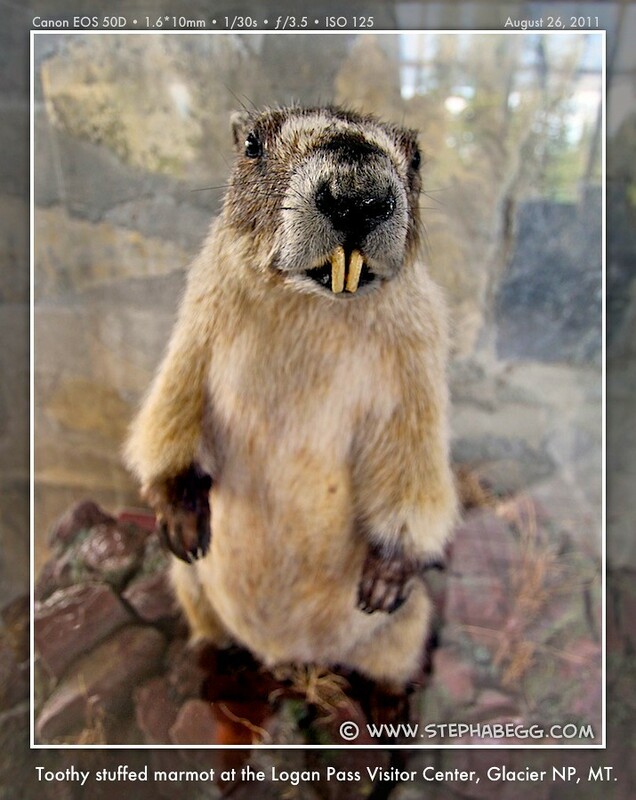 What I enjoyed most during my sidetrip to Two Medicine Lake was writing a letter to my Aunt Mary on a post-card and snacking on a box of specially-made Glacier Park animal cookies, both of which I bought at the Two Medicine camp store. This sidetrip cost me $80 since I had to pass through an entrance station during daylight hours, something I seem to rarely do despite the fact I am often in National Parks (I get away with many free visits to National Parks by passing through before or after hours). 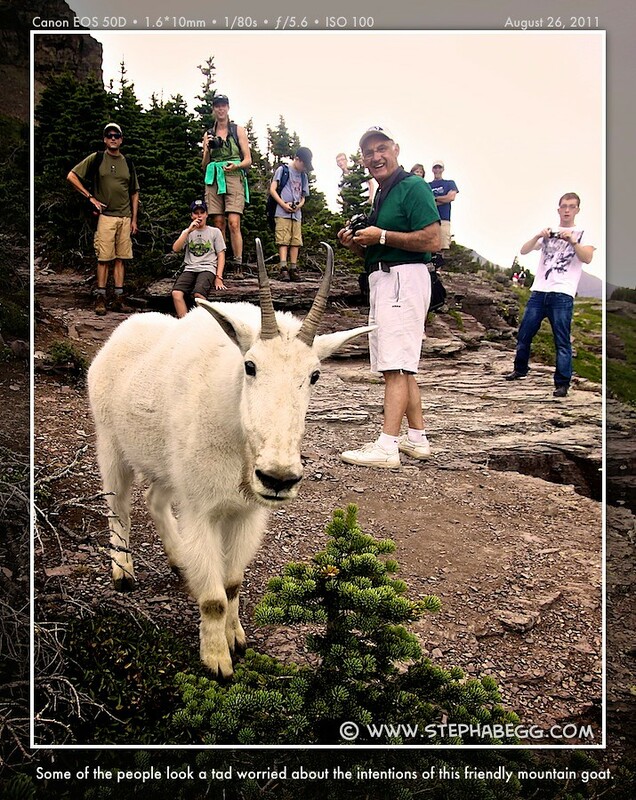 Even so, I always make a point to buy the $80 annual pass, since I figure it's a cheap price to pay for National Parks. Plus, the pass always has a nice photo, making it a pretty addition to the plastic cards in my wallet. After my $80 sidetrip, I headed to my day's final destination at the small town of East Glacier Park, which lies in Glacier National Park's southeastern corner. 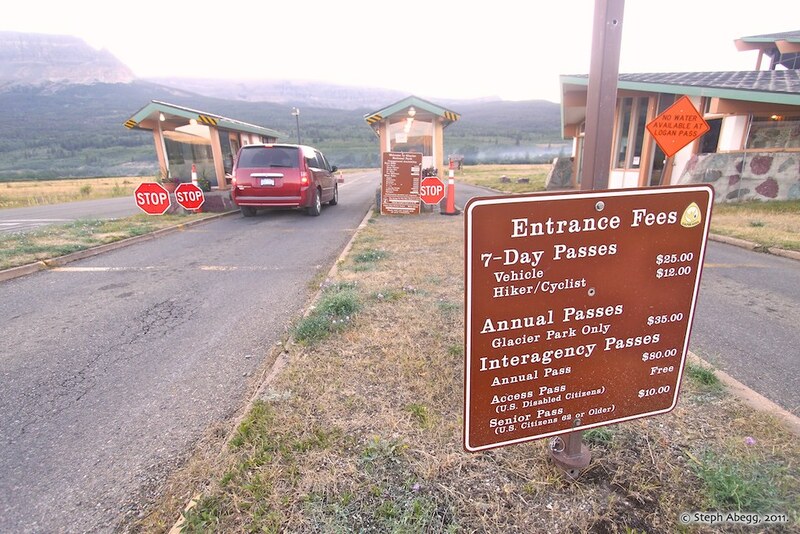 I discovered that there is no campground here, and it looked like my options were between a very unscenic RV park ($23 for tenters) one one end of the spectrum or the headliner Glacier Park Lodge (rooms up to $450 a night) on the other end of the spectrum. Then I discovered The Backpacker's Inn, which offers hostel style rooms for $15 a night (the buildings are the renovated original prefab cedar Sears and Roebuck 1920 homes, which is kind of cool). I didn't even need to set up my tent. I know a better deal when I see one! Bed for the night figured out, I spent a couple of hours checking out the Glacier Park Lodge, which dominates the town. 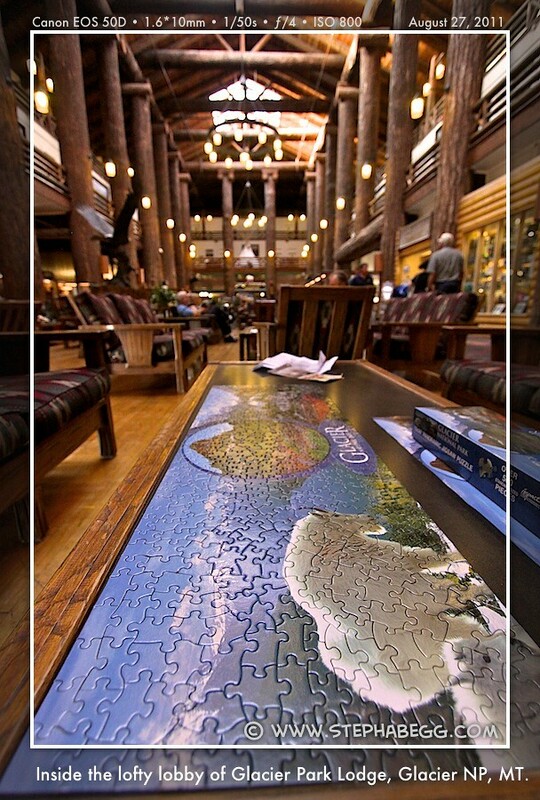 This lodge was built in 1915 as Great Northern Railway's historic headliner hotel of the park. 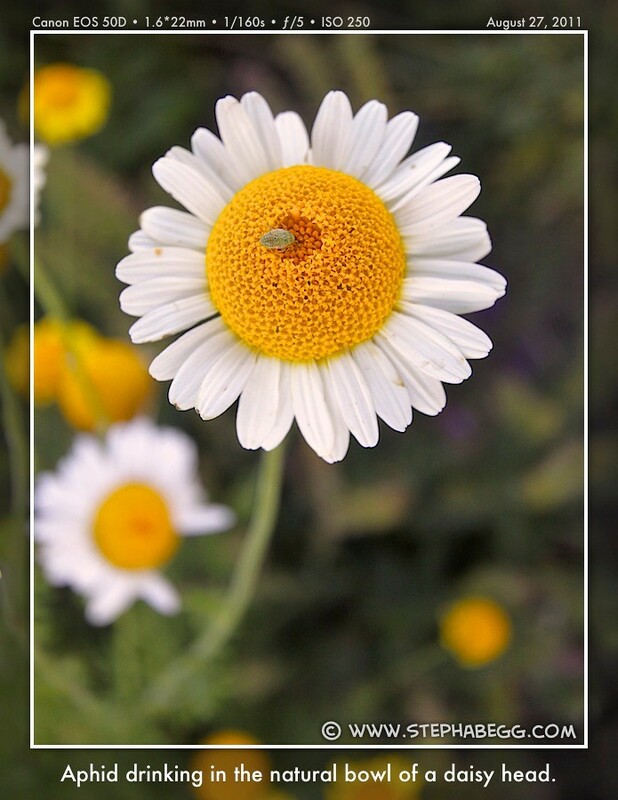 I walked the flowered walkway to the entrance, relaxed in the cushy seats of the three-story lobby, browsed the historic photo display chronicling the hotel's glory days, and fired up my camp stove in a quiet corner of their giant groomed lawn. I bought a coffee to justify my lawn usage. 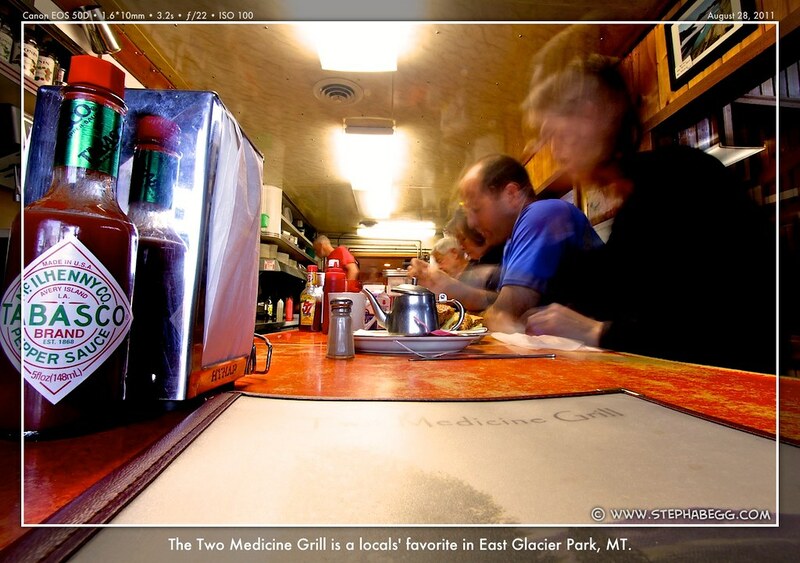 With some extra time not spent packing up my tent, I stopped for coffee at the Two Medicine Grill in East Glacier Park. 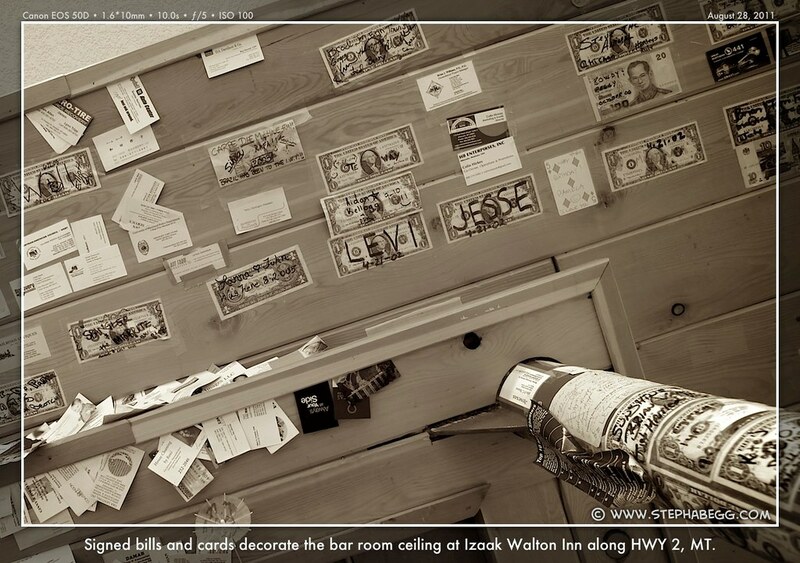 As the town's hole-in-the-wall-greasy-spoon hangout, it was good spot for capturing the local atmosphere. Then I was on my way to complete my three day loop of the park. Getting back to West Glacier involved biking the 57-mile section of Highway 2 that runs along the southern end of Glacier National Park. While this route pales to the Going-to-the-Sun Road's drama, the year-round highway accesses some of the wildest country around. 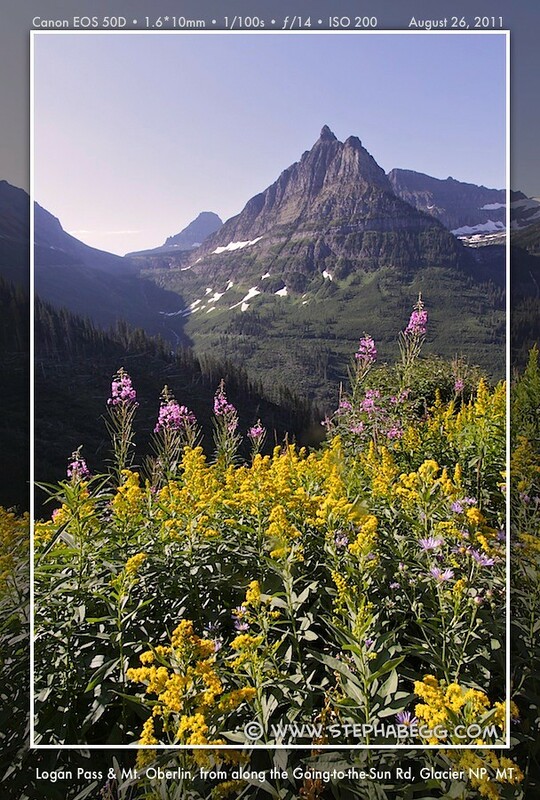 With one and a half million acres of the Bob Marshall Wilderness Complex to the south and Glacier National Park's one million acres to the north, the road bisects the largest grizzly bear habitat in the Lower 48. 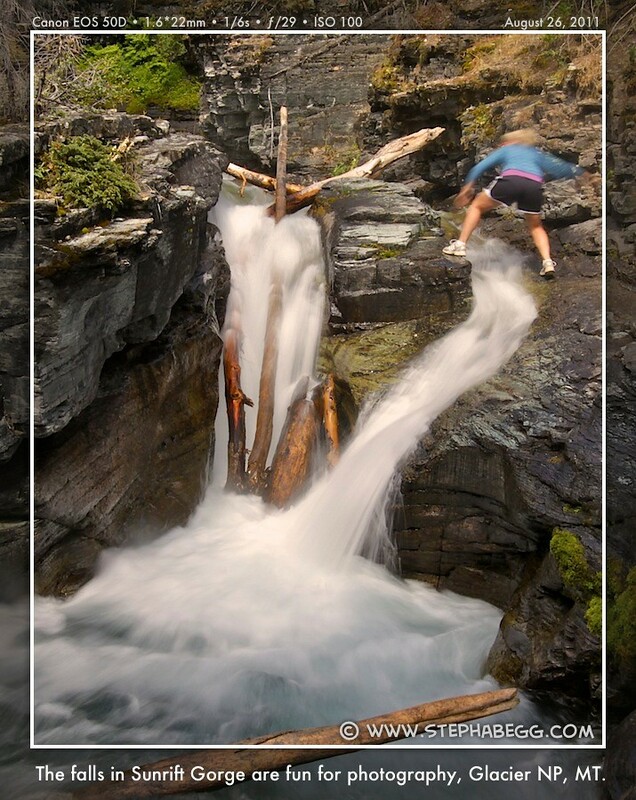 The wild and scenic Middle Fork of the Flathead River races through the canyon. 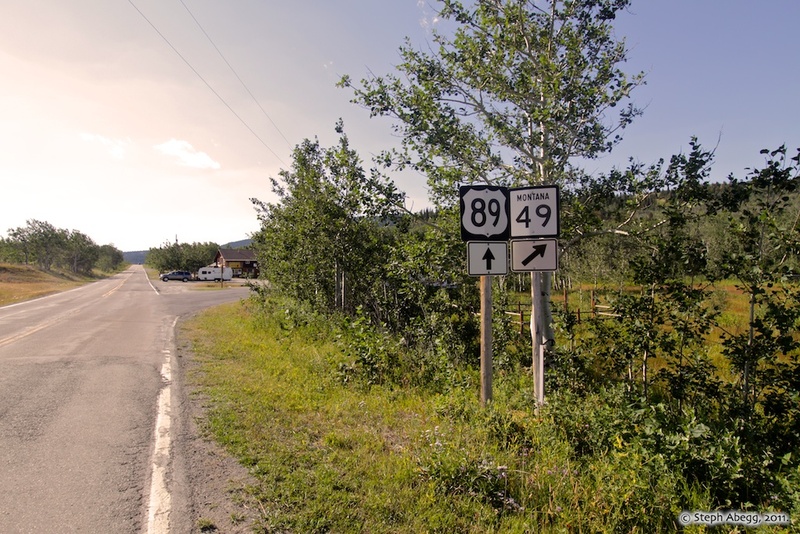 Small mountain enclaves are part of the charm of this route; both Marias Pass and Essex gained their notoriety through the railroad: Marias Pass as the route they chose to cross the Continental Divide and Essex as the train community to work the tracks. 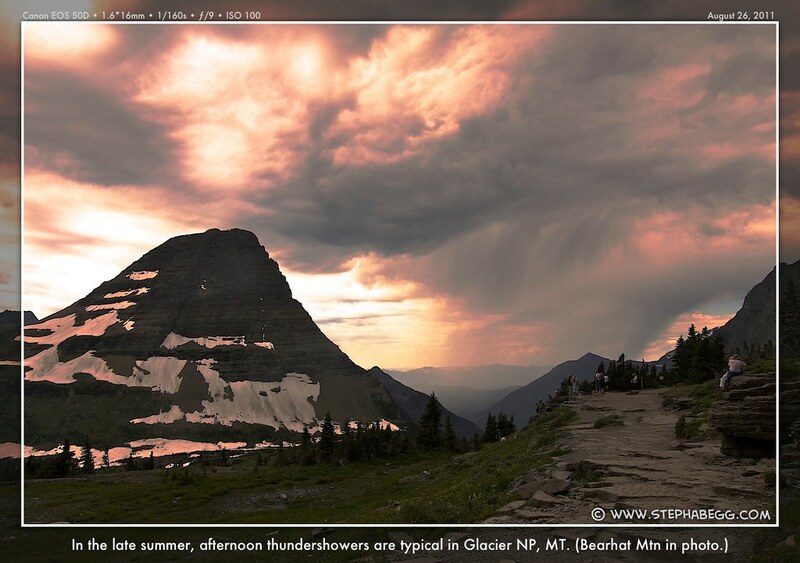 Here's what my Moon Handbooks: Glacier National Park has to say about the route: "Compared to the rest of Glacier's roads, Highway 2 is definitely and easier ride, for it has shoulders in some sections and is a bit wider and less curvy. However, due to heavy traffic in summer, it can be downright dangerous, with large rigs that nearly blow cyclists off the road. Tackle it only if you can handle riding with semis and RVs whipping by your elbows at 60 mph. Be prepared for winds, especially at Marias Pass. They are usually blowing eastward, so those riding towards West Glacier encounter substantial headwinds. Also, be extra cautious in the five curvy miles east of West Glacier, as severe turns reduce the visibility of drivers on the road. Most drivers here are gawking at the scenery or trying to spot wildlife rather than keeping their attention totally on the road." At highway grade and without the warned-about headwinds, the climb up to the mile-high Marias Pass (5220') was hardly notable. Marias Pass, though, was interesting. 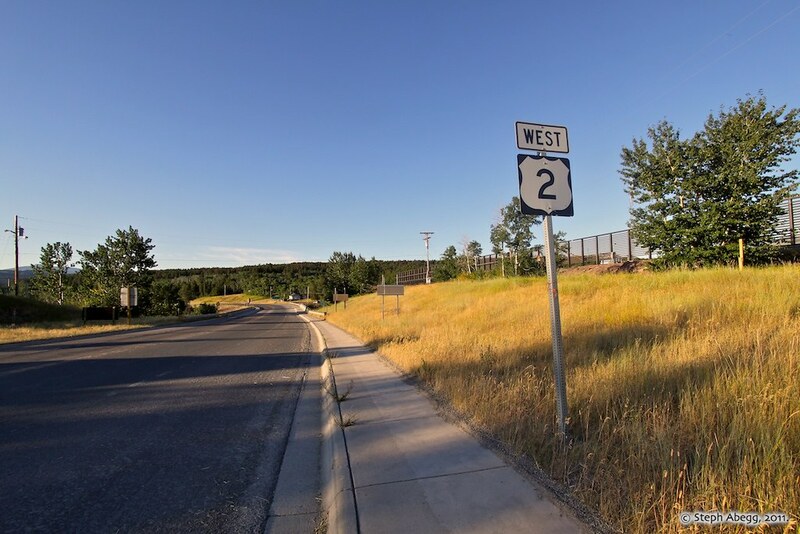 It is the lowest saddle on the Continental Divide north of New Mexico, and also the final section of Highway 2 to be completed. At the pass pullout, there is a giant obelisk dedicated to Theodore Roosevelt. Even more fascinating are the signs pointing out the Lewis Overthrust Fault across the valley. This fault exposed some of the oldest sediments in the world, shoving older 1.6-billion-year-old rocks on top of 80-million-year-old stones. But, 5 hours of biking under my belt since leaving East Glacier Park that morning, I finally arrived at my car in West Glacier. I find that expecting the worst is the best way to make sure the worst doesn't happen, so I breathed a sigh of relief when I found my car at the Park Headquarters present, unburned, unbroken, uncrushed, unegged, and with all 4 wheels looking nicely pumped up, all windows intact, and all contents accounted for. And it still worked when I turned the key. Soon I was on the road and on the search of a plug and wireless internet. Then begins Stage 2 of the trip: processing the 812 photos and writing the trip report.